All Bagratashen – Sadakhlo land border. On the top, enter into Armenia, bottom left leaving Armenia, bottom right entering Armenia again (we had to leave-enter-leave Armenia in an hour due to luggage problems). Okay, I dared to ask the officer while leaving the country and he said it is "RC - Residence Card". I still don't know why only some people got it written but that is the answer. First of all, all three are definitely RC just 3 different penmanship styles. This can be written for numerous reasons,but the one that I am most familiar with is when its under the H&C reasoning. (Humanitarian and Compassionate) Basically refugee. As for the others, I am not sure. I know this did not answer your question completely, but hopefully it cleared up that it is definitely RC that you are trying to figure out the meaning for, so that should help you narrow your search down. Also, I am not sure on the relationship between turkey and armenia regarding refugees and what qualifies as a refugee. Not the answer you're looking for? Browse other questions tagged terminology passport-stamps turkish-citizens armenia israeli-citizens or ask your own question. 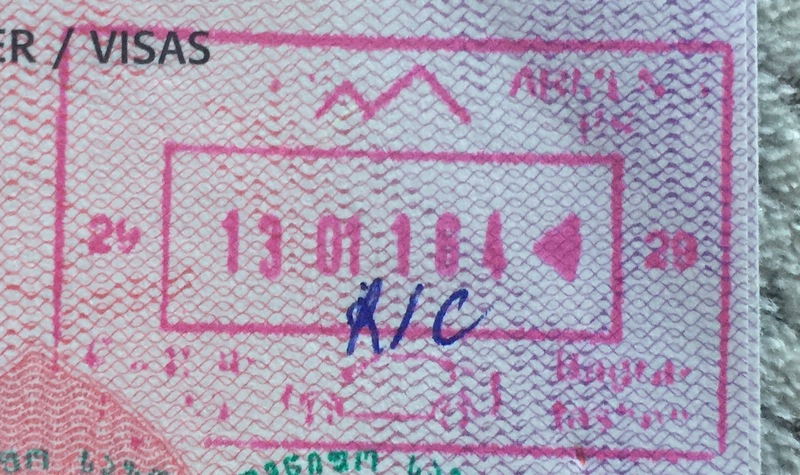 Is translation of passport stamps necessary?